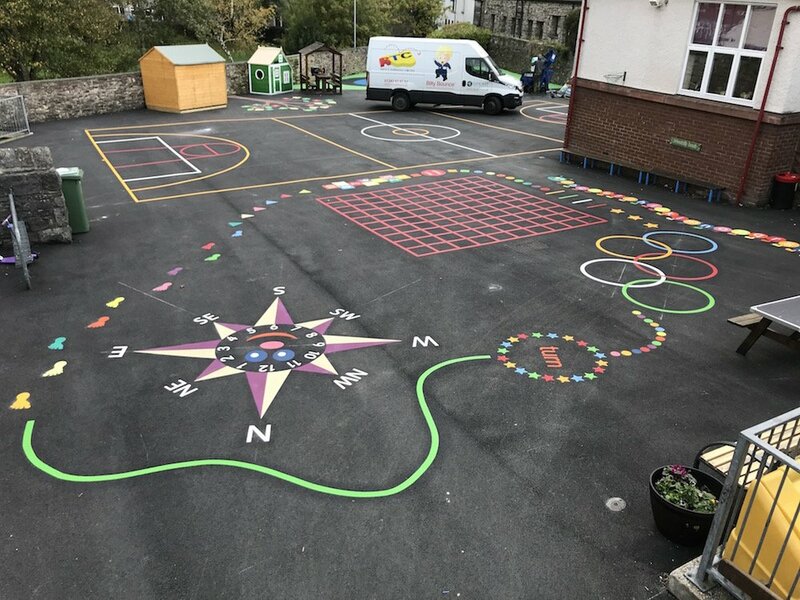 first4playgrounds have just completed another job installing playground markings at St Michael’s Church of England Primary School in Wakefield, Leeds, Yorkshire. 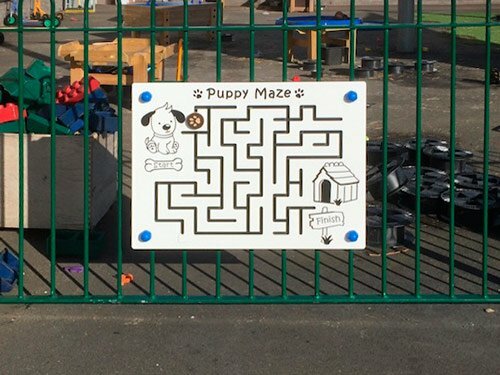 This was the first time first4playgrounds had installed markings onto newly sprayed acrylic tarmac paint. Although the tarmac surface was in reasonable condition the colour had faded and was beginning to look dull. 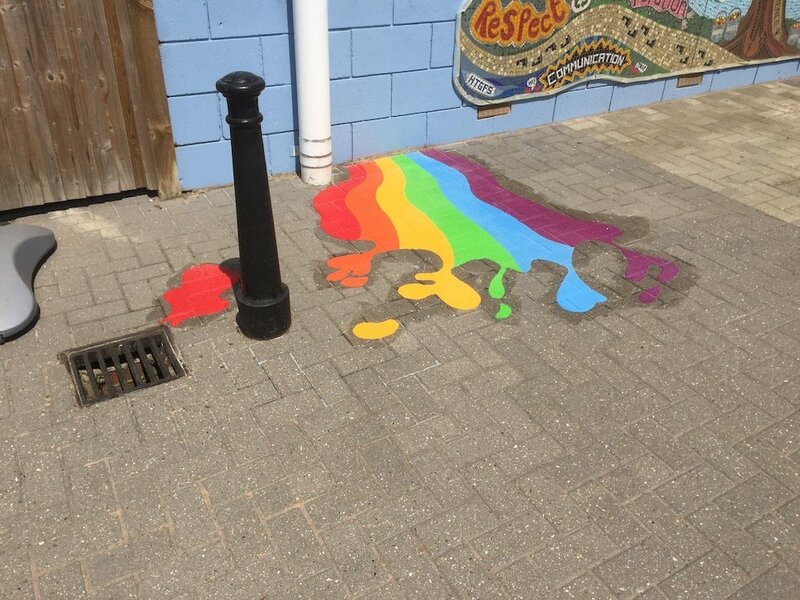 Headteacher Mr Faz Islam wanted to completely rejuvenate the whole playground prior to the children returning to school after their summer holiday and was very impress when he saw the results. 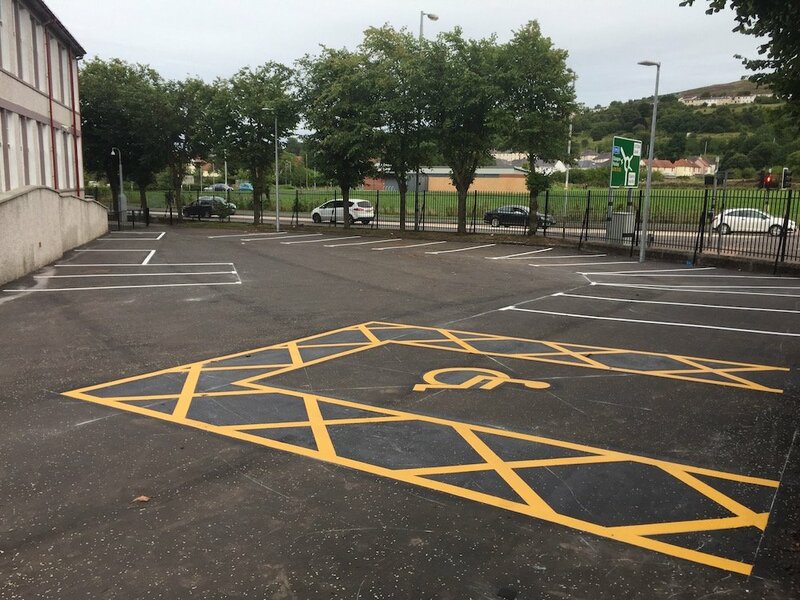 The new markings looked fantastic against the black acrylic paint and brightened the whole school playground. 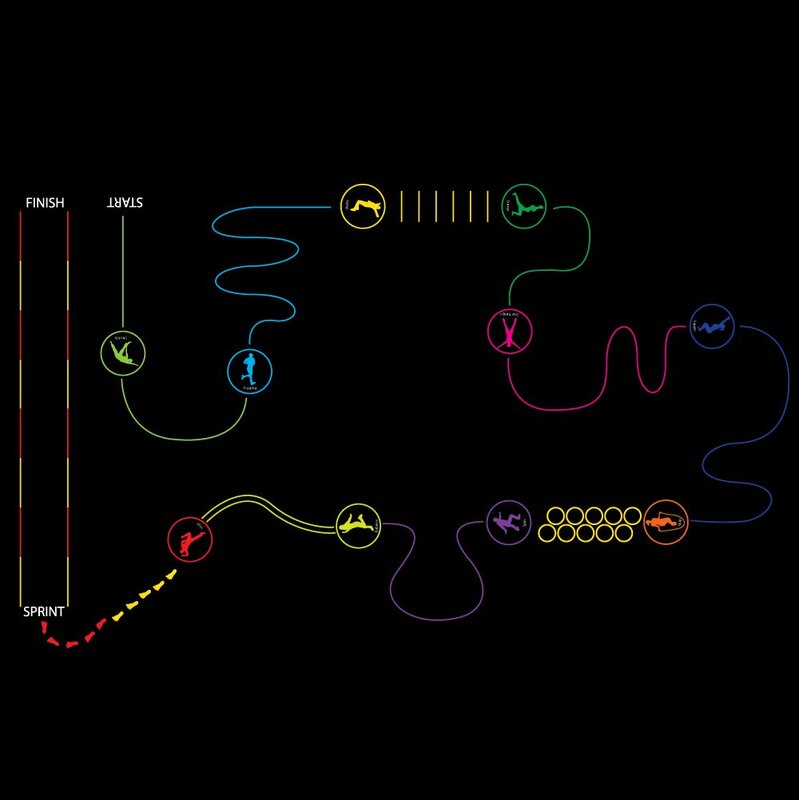 The markings included a netball court, adventure trail, a maze, a world compass pointing north and a 75m bicycle track with roundabout and zebra crossing.